MK rang me last week. She is my oldest Arrernte friend from Alice Springs and the inspiration of the educational program I came to Alice in 1988 to work for. The Ntyarlke Unit at the Catholic High School was designed to provide secondary education for Aboriginal kids from Alice Springs Town camps who had little effective primary education and were already in trouble with the law or were heading in that direction. What MK taught me was that my role was to 'look after' these kids and assist in a process of guiding them to become strong Arrernte young men and women, effective students within a western education system and good Catholics, as she is. 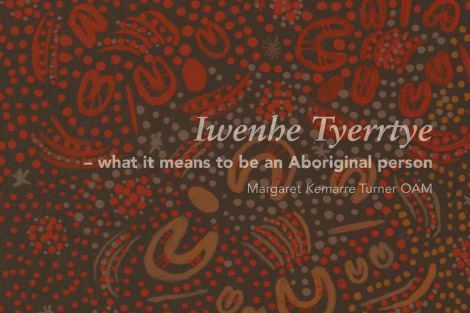 I recently read again MK's book Iwenhe Tyerrtye — What it Means to be an Aboriginal Person where she talks in both Arrernte and English to her mixed audience about the process of growing up in two worlds. A most important concept that she says come from the Altyerre ('Dreaming') is found in the Arrernte word arntanrte-aremele, which means looking after, holding, nurturing or caring for. MK rang me after the 4 Corners program on the treatment of children at Don Dale Juvenile Detention Centre. She wanted to talk about how the government people in that place were not 'looking after' the kids who were put there. In western lingo we talk about a 'duty of care', but for MK and Arrernte people it is more fundamental than that. Altyerre teaches that we must care for everybody, even the people who do wrong. This is not about western, whitefella law, it is about the fundaments of how it is, from creation. Fr Brian McCoy SJ, the Provincial of the Jesuits in Australia, has written a wonderful book titled Holding Men. He recounts his experiences as a young priest working at Balgo Hills Mission in Western Australia and ruefully admits that the effect of the mission was to sever the essential connection between the generations within Aboriginal society by taking the children and placing them in dormitories. "What happened at Don Dale is just another 'massacre' and according to MK, Aboriginal youth have that same experience on the streets of Alice Springs every night." Clearly McCoy and MK have the same process in mind — 'looking after' the children is the primary role of life. It is for this that we exist, to reproduce and provide the opportunity for young people to reach their potential. MK and I continued our conversation. She said there should be education for young people 'about their rights'. She had moved her thinking across into the western domain, the domain of human rights under Australian Law and the 'duty of care' of police and youth workers and the government to ensure that the general rights of kids are not diminished. She was no longer just talking about Don Dale. She has lived in Central Australia for 80 years and Alice Springs for 50. She knows the texture of the town implicitly. She knows that Aboriginal kids are not perfect — the Altyerre informs Arrernte that people do bad things, even during this sacred, creative time (as does the Bible, where the second story about humans is about one son killing his brother). But she also knows that when a young person makes a mistake they do not forfeit their right to compassion and care. She sees the behaviour of the whitefella system impacting in such a way as to alienate her grandchildren from their right to arntarnte-areme. I recently collected another of my great friends from the renal dialysis unit and as I drove her home I told her that I had seen the new publication Every Hill Has a Story, a Central Land Council sponsored compilation of Aboriginal voices from across Central Australia, to which she is a multiple contributor. I wanted to talk of her contribution about growing up in the area around Arltunga and Ross River. She, however, had other things in mind. Before I had finished she said softly and sadly: 'it's all about the massacres'. The last massacre of Aboriginal people in Central Australia was at Coniston in 1928, and my friend is not old enough to personally remember it. But what she was saying, I think, is that the general tenor of the many stories in the collection compels the reader to consider that the experience of Aboriginal people in Central Australia post Invasion has been one of 'massacre'. How can she say this? Because the memory and the heartbreak of existence for Aboriginal people in Central Australia is a 'sedimented' history, laid down generationally, of invasion, physical attack, dispossession, social dislocation, cultural genocide and powerlessness. The massacres happened when the whitefellas thought they had no duty of care to the owners of the land they invaded. The blackfellas have sussed that such attitudes have not changed. What happened at Don Dale is just another 'massacre' and according to MK, Aboriginal youth have that same experience on the streets of Alice Springs every night. Many people would say that the rules at Don Dale apply regardless of colour. The behaviour of the guards, however inappropriate, was not racist. But I think what happened there was racist. Racism is a lived experience of marginalisation and powerlessness experienced by a group because of their identifying characteristics. When black kids experience Don Dale they experience racism. And it is endemic and long lasting. It is ours to erase. We can only do it by 'looking after', 'holding' these kids close to our hearts and ensuring that we empower the people of the Altyerre to do the fundamental arntarnte-areme. 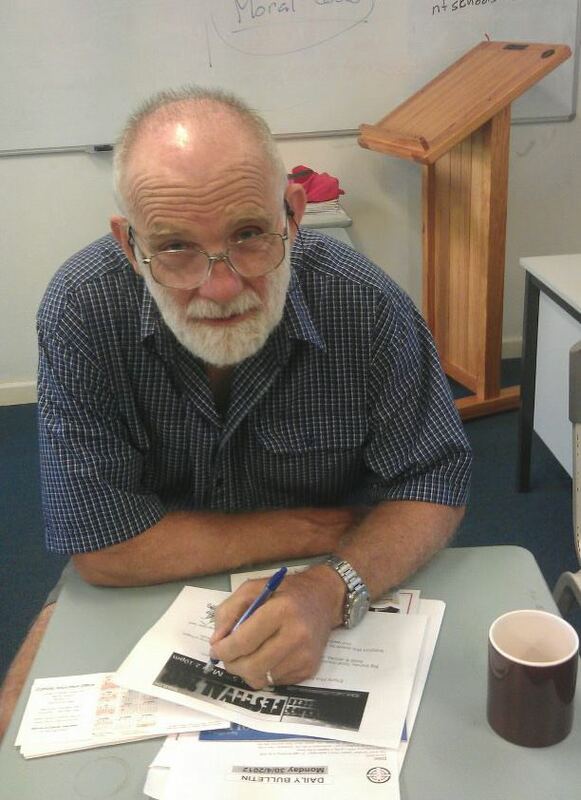 Mike Bowden has worked as a teacher and community worker in Alice Springs and Aboriginal communities in the Top End. Recent articles by Mike Bowden. A great piece Mike. Watching the slow train wreck of the Northern Territory government from the other side of the world: you have summed up this episode, along with MK, very powerfully. Thank goodness for the compassion and awareness revealed in this considered article. Colleagues and I have talked about Colonial Stress Disorder as a real symptom, similiar to PTSD, but not Post-Colonial as Indigenous people still live with the compounding effects of colonisation. Yes, it is about the massacres - massacre of culture, contact, respect, acknowledgement, rights, custodianship. Bigots wilfully overlook all this compounded pain and trauma. Thank you Mike Bowden. I lived in Alice Springs in the latter half of the 1980s and it seems many aspects of its culture and its people's behaviour have changed little since then. One time, when I was about to drive to Darwin, I said to a young aboriginal man that when I was about half way there I would stop off and have a chat with his "uncle".. He immediately looked rather anxious, and said please don't tell him this and please don't tell him that. The "uncle" was the authority figure in his family. Not his parents. Their role was to love him and they did that well. Thank you, why do great articles don't reach the people's who always have an answer but no insight. So many thanks for your well-informed words. I have admired your dedication to the education of Aboriginal children within both white and Aboriginal cultures, Mr Bowden. Like most, if not all, advocates for a cause, however, it does seem sometimes that there could be a few blind spots here and there. Referring to MK, you write, "She knows that Aboriginal kids are not perfect - ". Might I suggest that all children of all races are born perfect in their innocence and lack of sophistication. Their growth to maturity is a feature of their growing experience, and largely due to parental guidance and environmental experience. The adult Aboriginal community has much to answer for in the development of its children. Many have abandoned their responsibilities which has nothing to do with "invasion" other than perhaps that the invasion brought with it both alcohol and well-intentioned, inexperienced, tunnel vision Christian missionaries, some of whom respected Aboriginal culture and some of whom didn't. You, good Sir, fit into the former category. Some balance needs to be applied, however, apportioning blame to both "white Anglo-Saxon" and Aboriginal cultures. The Jesuitical "Give me the boy to the age of seven" adage in todays world of researched childhood psychology has reduced the time span to 3 years with a further 4 years that modifies the formative 3 according to environmental influences. Perhaps those who removed children from their native environment were inadvertently doing the right thing after all! In todays world an environment of drunkenness, dependence and abuse of women and children must share a large part of the blame for the sadness that attaches to the development of young Aboriginal children. For all the "sins" of the colonists and missionaries of yesteryear, it simply has to be admitted they did some good, producing some of the Aboriginal community's greatest and most effective advocates, like MK, Eddie Gilbert, Noel Pearson, Stan Grant and Yvonne Goolagong, All of these called for balance, Time to embrace it and leave the stereotypical biases in the past where they belong. Then we might begin to progress in both cultures. Time also for the Aboriginal community to face its own shortcomings in relation to some of its children. A treaty would seem to be what is needed simply because a treaty has "recognition" built into it. A wonderful article. I particularly like the concept of a 'sedimented history'. Like the underground rivers of blood the Irish remember. I also liked the concept of Colonial Stress Disorder. Thanks for your articles Mike. Dear John Frawley, I think that you do not appreciate the effect that a centuries long history of colonisation, slavery and exploitation at the hands of powerful nations has on people. Worldwide, there are examples of people who have struggled successfully to resist the generations of oppression. They are usually regarded as terrorists against whom various kinds of war are justified and directed. the wound heals slowly at about the same rate as our change of heart takes place. We all have splinters in our eyes. Who will claim the right to remove the splinter? Who will we trust to help us remove them? "Racism is a lived experience..." When aboriginal kids feel they are being treated the way they are is because of their aboriginal inherited characteristics - no matter what the motivation or rationale of those treating them in a way that marginalises or disempowers (i.e. mistreats) them - then they are experiencing racism. One might call it received racism. Some of those mistreating the aboriginal kids may not always be conscious of the beliefs, motivations, attitudes, that drive their mistreatment but many of them will. And they will feel their behaviour is justified because aboriginal kids are different. I think there is a wide spectrum of beliefs etc among those mistreat aboriginal kids on racist grounds - from those who think aboriginals are inferior and need to be lifted up to those who think aboriginal are so inferior that nothing can lift them up. Is there a solution? We have to recognise the personal dignity of every human being.. If I find it hard put this into practice when I'm driving in Sydney traffic, why should I be surprised that workers in the criminal justice system have difficulty in practising this belief? Well said Mike and MK! It is a very complicated and messy situtation but it doesn't mean we can walk away. The NT Government must be called to account.